I have a regular client who for the last 2 yrs has been having L’Oréal dia richesse 601. 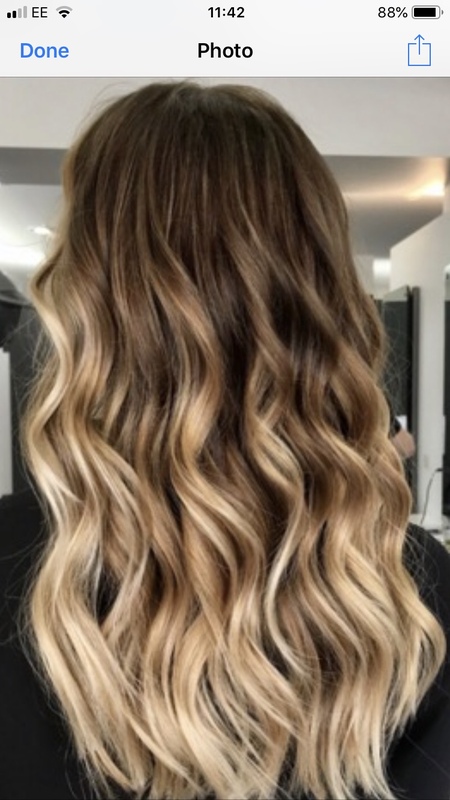 She now would like balayage and has shown me picture below. I took some test cuttings and applied L’Oréal bleach + 20 vol and did another with 30vol. Couldn’t get past level 7, quite coppery. We then decided to use a colour remover. Not much change as she is a level 6 ( no grey) anyway but all tint removed. Tried another test cutting and exactly the same again. Can’t understand why I am not able to lift it to at least a 9. Any advice appreciated. As above, powder bleach definitely has a limited shelf life, even if it looks ok.
Are you using the matching brand developer, it does make a difference? Try a chelating shampoo or malibu c cleanse on the hair first. Sounds like something is creating a barrier. What products/shampoos is she using?